Conferences are fantastic promotional techniques for your business. 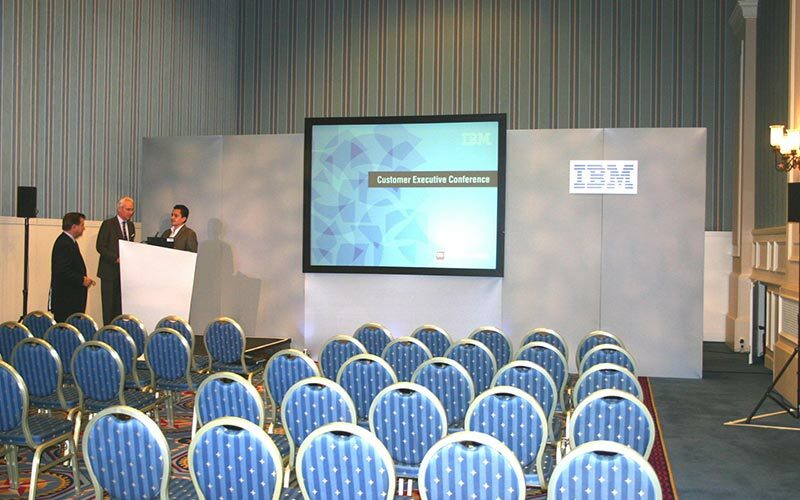 Holding a conference is guaranteed to attract attention from a very wide audience. Getting it right from the beginning is crucial. Every detail counts. We know how important this event is to your business. 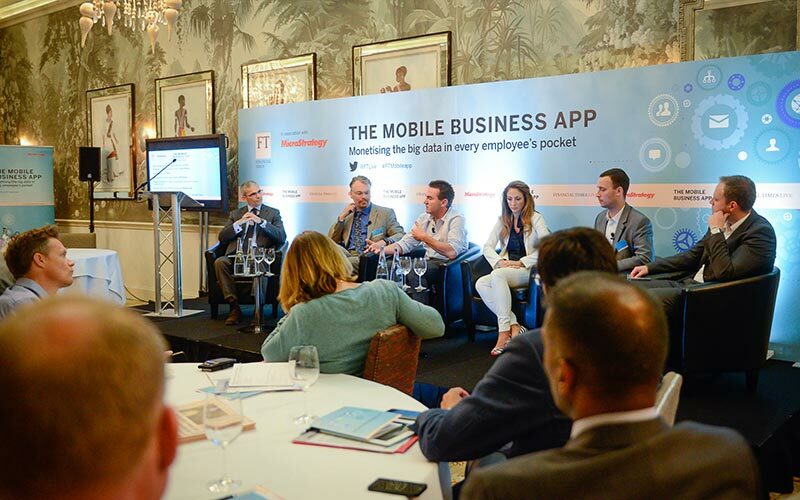 With over 20 years experience dealing with conference set and staging within a wide variety of venues, we have the experience and expertise required for such projects. We believe there is no such thing as standard conference set and staging. Every conference has totally different requirements be it in terms of location, room layout, corporate colours, design concept or equipment needed. 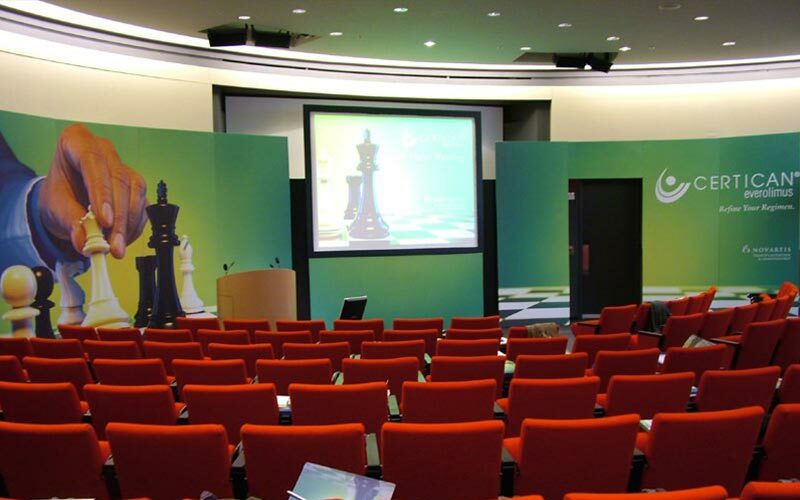 This is why we always personalize conference sets with your corporate image and create bespoke designs. Our warehouses contain a vast array of equipment including stage barriers, display systems with integrated speakers and portable lightweight staging in a variety of sizes. Our experienced staff can help you choose the products that are ideal for your venue, and will assemble them on site. All the products match health and safety standards. We can blend the staging into backgrounds that involve technical equipment such as video walls and projection screens. We can even provide accessories such as lecterns and microphones. Bear in mind the size of your venue when deciding on conference sets and staging. There are so many variables that need considering in order to provide the best environment for your conference. It may be that seating has to be adjustable to ensure maximum use of space, involve lower heights for children or young people, it might just be a simple podium on a stage for a presentation or the conference room is being used for a variety of functions within the event such as talks, seminar space or breakfast meetings. The design may need to be very flexible. It is very important to consider sight lines for both audience and presenters. As preferred suppliers at many top conference venues, hotels and historic buildings we may already possess the full specifications for your proposed venue thus enabling us to help you choose the best equipment and staging for your conference. To obtain maximum benefit from our services, talk to us while your project is still in the design concept stage. 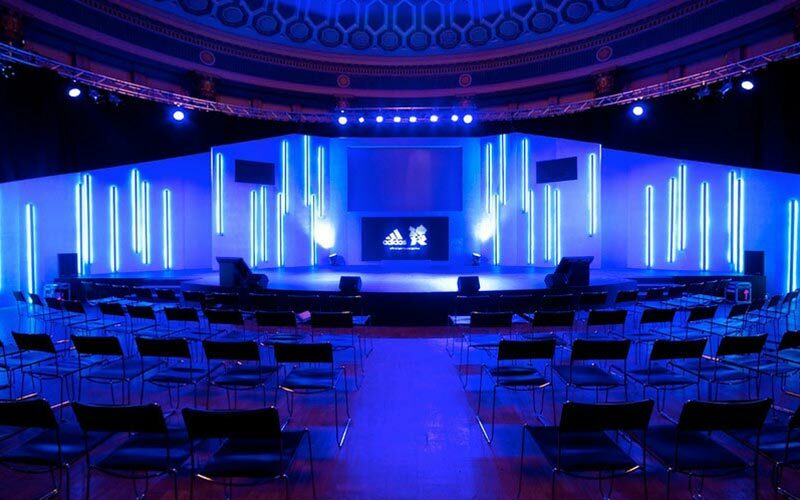 Even if you find you need conference sets and staging at the last minute – we can still help. We await your call.